The School of Dramatic Arts briefly caught up with alum Boni B. Alvarez (MFA ’07) for our Q&A series highlighting the accomplishments of the alumni of the USC School of Dramatic Arts. 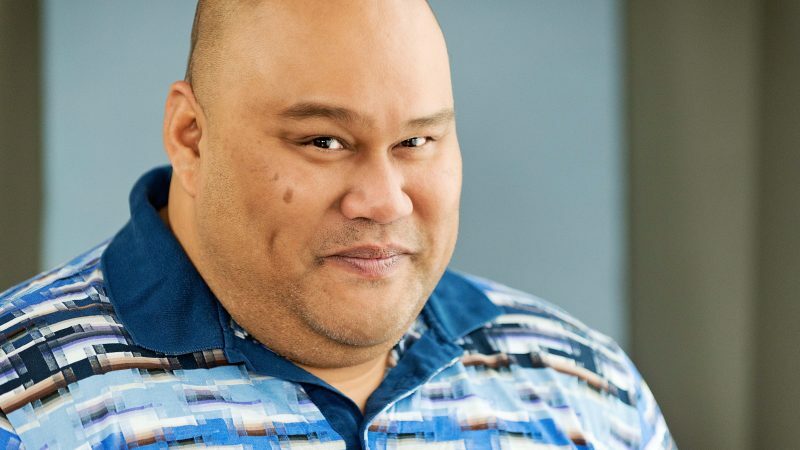 Since graduating from the USC School of Dramatic Arts’ prestigious Master of Fine Arts in Dramatic Writing program, Boni B. Alvarez has been seen numerous productions of his works mounted thoughout Los Angeles and the nation. His play, Bloodletting, originally produced by Playwrights’ Arena, is receiving a remount by Center Theatre Group at the Kirk Douglas Theatre at the end of March, 2018, as part of the second annual Block Party: Celebrating Los Angeles Theatre. SDA: What was your best USC experience?? Alvarez: There’s something very magical about the first day of school: excitement and trepidation and picking out your outfit and school supplies. For me, I felt like I had a lot on the line – it was my second MFA, and I was committing to a transition from acting to writing. So, the first day felt like the beginning of some sort of re-birth. SDA: Was there a class or professor that was particularly meaningful or influential during your time at the School? Alvarez: I really thrived in our MFA Project class. We had the guidance of Velina Hasu-Houston, Oliver Mayer, and Luis Alfaro all together as we worked on our thesis plays. We also had the talents of the first year MFA actors in class. They were game for anything, adventurous collaborators in our process. The class was a really fertile safe space. SDA: What do you miss about college and SDA specifically? Alvarez: I miss the rigor of so much writing, especially as part of such an intimate cohort. Three years of concentrated writing is a complete luxury. SDA: What productions did you work on? Alvarez: I was in the inaugural MFADW class, so there was a transition happening from the two-year playwriting program. I was fortunate to have workshop productions my first and second years, Looking Towards Lourdes and Sweetest Hangover, respectively. Upon graduation, I had a staged reading of my thesis play Ruby, Tragically Rotund. I also participated in presentations for the Solo Performance and Advanced Solo Performance classes. SDA: Do you remember the moment you found out you got into USC? Alvarez: Yes! Lori Fisher called me and asked if I had taken the GRE yet. Maybe I wasn’t expecting to get in, because I had been putting off taking the test. I asked if I was being considered for admission and she said they’re holding my admittance letter because they didn’t have my scores. I told her I’d get on it ASAP. SDA: Any advice for current SDA students? Alvarez: It sounds basic, but be kind – nice, respectful, collaborative. The minute you set foot on campus, you are developing your professional reputation. Your classmates, your TA’s, your professors – you never know who will recommend you, vouch for you, hire you in the near future. SDA: What are you currently working on professionally? 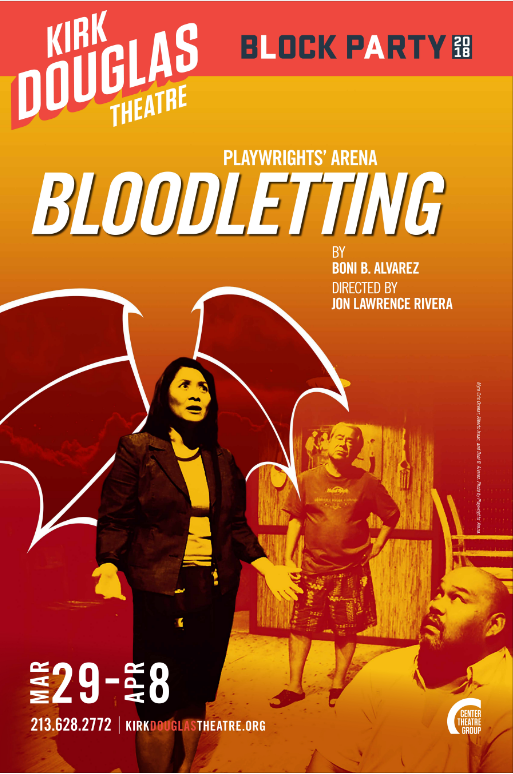 Alvarez: In addition to Bloodletting at CTG, I’m also working on a revision of my play Driven which will premiere at the Skylight Theatre Company in July. Also working on a screen adaptation of a play of mine. SDA: What lessons have you been able to apply from your SDA training to your professional life? Alvarez: I always try to be bold and authentic, but respectful. I press myself to be productive and diligent and the kind of artist people want to work with.